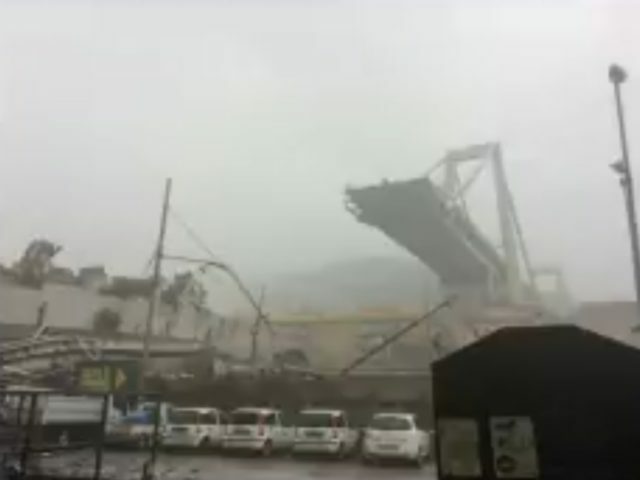 A major viaduct carrying a motorway across a river in Genoa, Italy collapsed Tuesday before midday, with local media reporting dozens of fatalities. 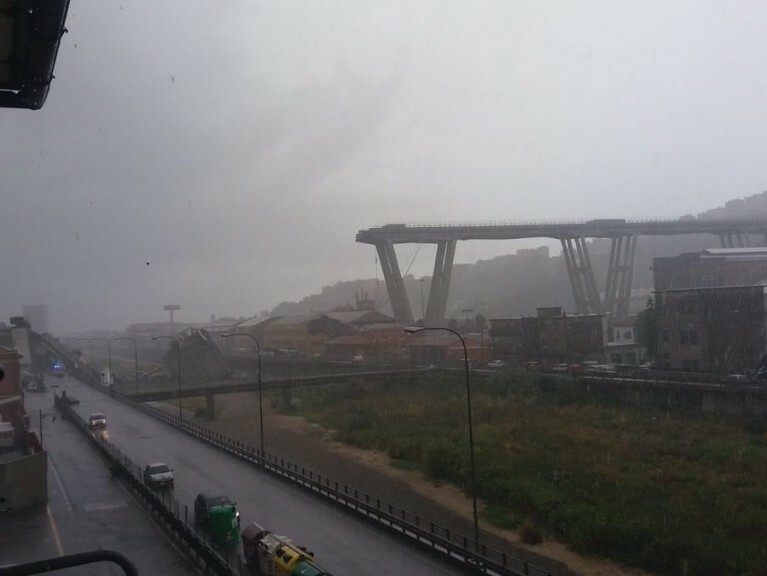 The 1960s-era concrete bridge, which soars to heights of 90 meters above the ground and spans over a kilometre across the valley, collapsed after a violent storm which hit Genoa Tuesday morning. 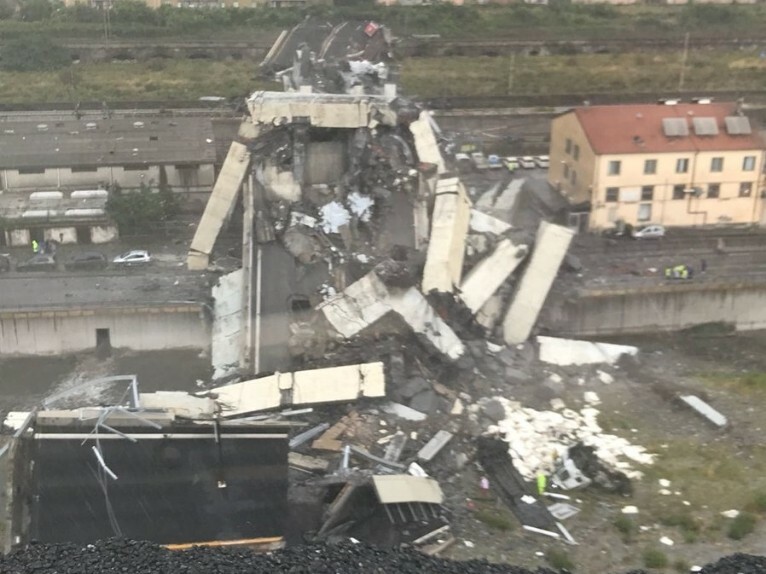 Italian newspaper Il Giornale reports the Morandi Bridge carries a motorway over the Polcevera Valley, and that around 200 meters of the roadway crashed 45 meters to the ground, destroying buildings below and carrying vehicles down with it. The paper reports there are thought to be dozens of bodies now trapped in the wreckage, with domestic gas now leaking from the destroyed buildings, and threatening explosions.